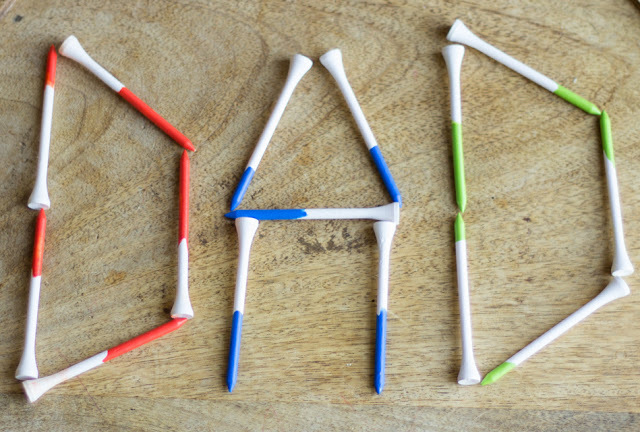 I made these for my dad – a huge lover of golf, who instilled in me a love for golf. He’s the only person I know who can play an entire round with a 7 iron and a putter. I have so many precious memories on the golf course with him. 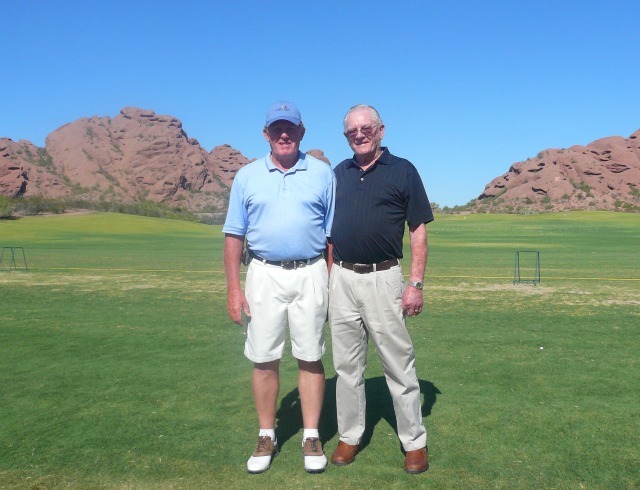 Here he is with my grandpa, who is almost 90 and still has a mean swing. My dad likely hasn’t heard of the DIY paint dipping trend, but I’m hoping he’ll still appreciate these colorful tees made with love. 1. 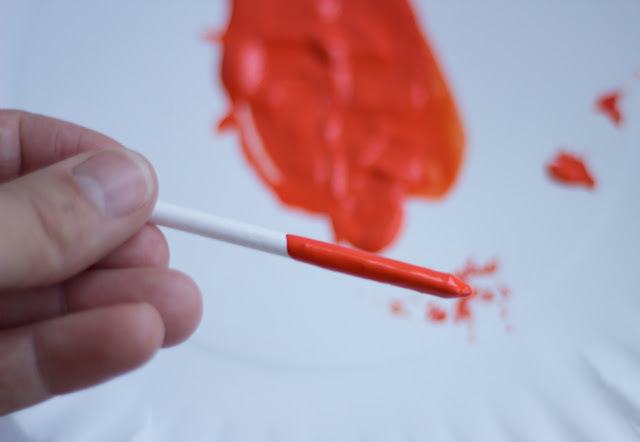 Depending on the craft paint you use, you may want to dilute it slightly with water (as long as it is water soluble paint) so it is thinner for dipping. 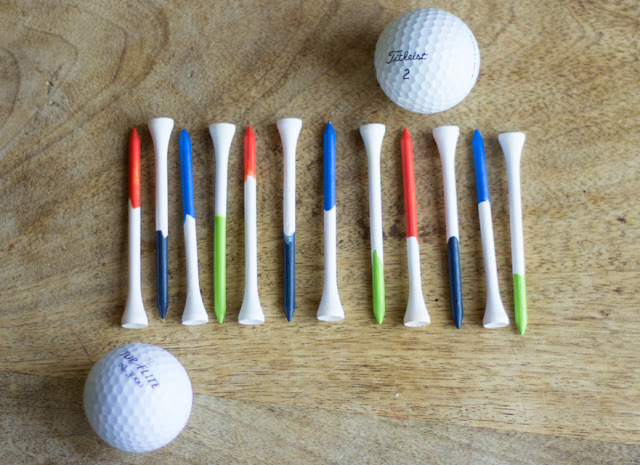 You don’t want it to clump up on the tees. I used just a couple drops of water to dilute mine. 2. 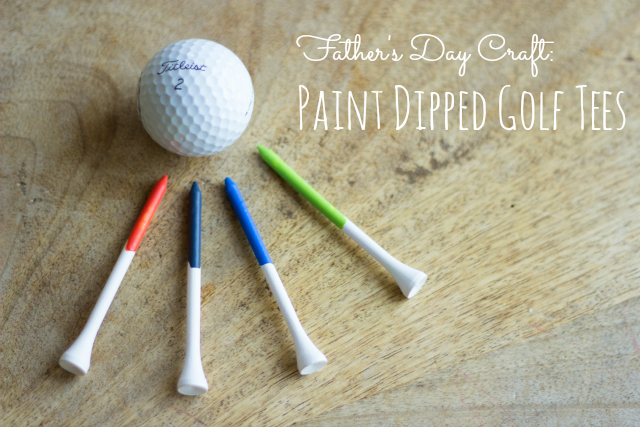 Put a dab of paint on a paper place and roll the bottom half of the tee around in it for a dipped effect. 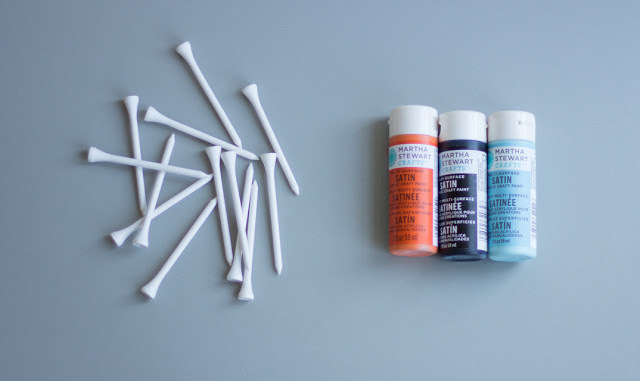 You can vary the amount of tee covered in paint. 3. 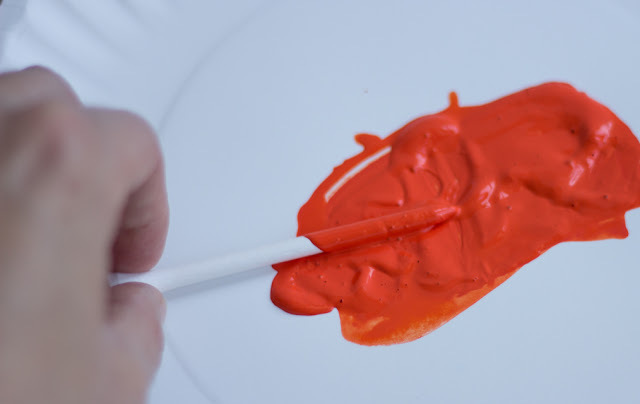 Tap the pointy end against the paper plate a few time to get off any excess paint. 4. 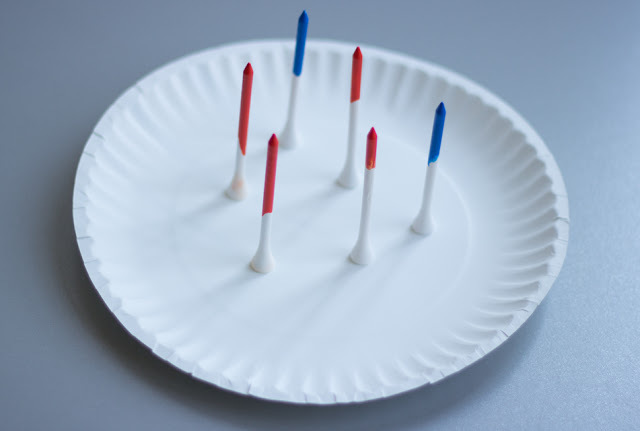 Dry the tees upside down on a paper plate. 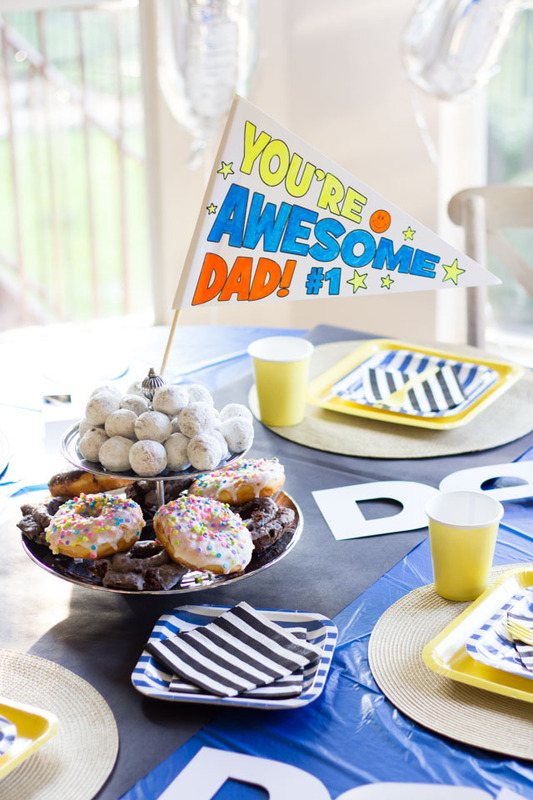 Just be careful not to knock any over or you’ll have a domino effect (based on experience)! 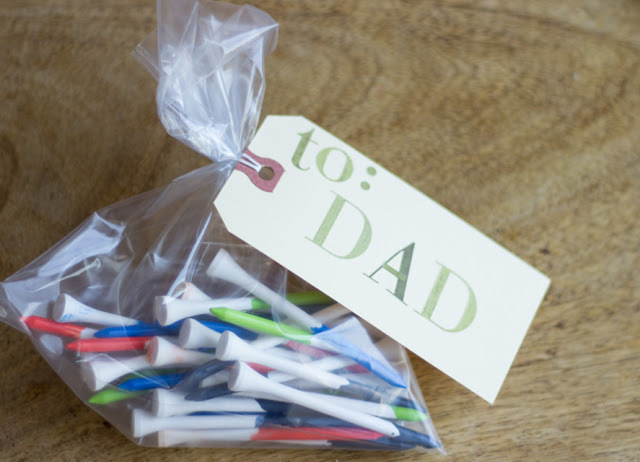 These don’t have to be just for Father’s Day. 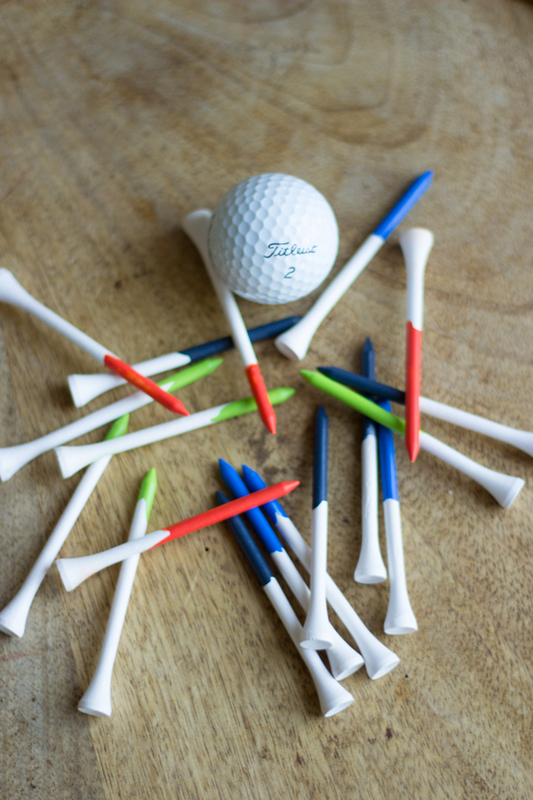 They would make a great gift for any golf lover. In fact, I’ll be saving a few of these for myself.